Personal injury law deals with situations wherein an individual is injured. In order to recover from personal injuries sustained, generally one must prove negligence. Negligence is the failure to exercise due care toward another member of our society. If negligence is proven, you may be entitled to actual damages. It is the duty of the injured party to show that the damages suffered are to a reasonable degree of certainty, a result of the wrongdoer's conduct. Actual damages include: past, present and future pain and suffering; past, present and future emotional distress; past, present and future wage loss and the possibility of permanent injury. If the defendant (the individual who caused the injury) to the injured party (hereafter referred to as "plaintiff") is found to be grossly negligent or has been found to violate statutory authority, then the defendant may be levied punitive damages. Punitive damages are damages that are assessed to punish the defendant and to deter the public from similar conduct. Has a loved one suffered a wrongful death due to the negligence of an individual or entity? Mr. Berlinsky can offer legal representation to the family of the injured party. Wrongful death claims can involve a multitude of circumstances, including auto accidents, medical malpractice and product liability. Filing a claim for the wrongful death of a loved one aims to provide fair compensation and justice, as well as offer answers to family members. Mr. Berlinsky has vast experience representing families in need of assistance filing a wrongful death lawsuit in Charleston. The law for liability of injuries sustained from domesticated animals has changed dramatically since our attorney first started practicing law in 1989. At one time, the owner of an animal was not responsible for injuries to a plaintiff unless the owner/defendant knew of the dangerous propensities of their animal. Today, South Carolina imposes Strict Liability on pet owners that are the cause of another’s injuries. The owner of an animal is directly responsible for any injuries sustained by a plaintiff as a result of their animal. There are exceptions, such as provocation or trespass without notice. In the state of South Carolina, many homeowners' policies will allow a plaintiff to recover from his injuries from the homeowner's liability coverage. Generally, you will find that if one claim has already been made, the homeowner's insurance carrier will thereafter exclude pets from coverage on their policy. Some homeowners' policies exclude animals by virtue of the breed of animal. For example, Rottweilers, Pit Bulls and other similar animals are generally excluded from many policies. Injuries from domesticated animals can sometimes be minor, or to the other extreme, leaving permanent scars and injuries. In instances dealing with permanent scarring, scar revision may be necessary. Consult with a plastic surgeon to acquire a future estimate for revision to be submitted to the insurance company. This field of law can be difficult at times in proving ownership, control, lack of comparative negligence and exercise of due care. The practice of personal injury has grown to be more complex. Insurance companies have one goal in mind and generally that goal is to avoid paying claims or to pay as little as possible to get rid of the plaintiff. 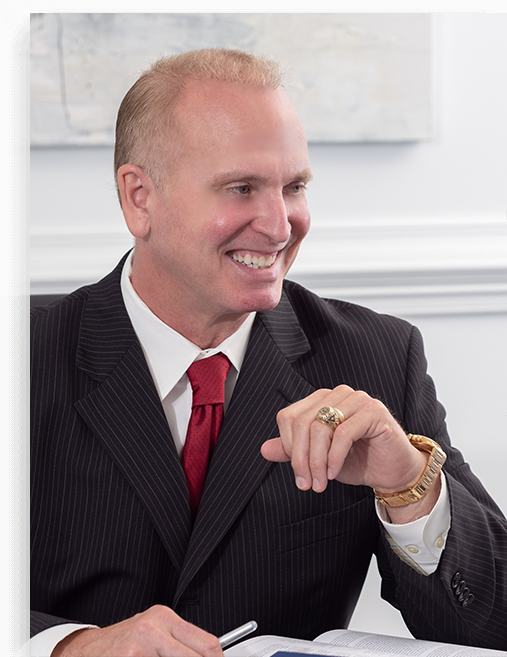 Mr. Berlinsky has been practicing law for over 28 years and has represented thousands of individuals. For Philip Berlinsky, it is still a battle that he fights on a daily basis to resolve claims and protect what is fair to his clients and community. When an individual sustains a personal injury, it can change the course of their entire life. It is difficult to comprehend how any one individual is adversely affected as a result of negligence of the defendant. It is our law firm's job and pledge to each and every one of our clients, no matter how big or small the case, to fight to get their lives back to the way they were prior to being injured. Our attorney at Philip Berlinsky Law has worked with countless doctors and experts toward reaching a maximum medical cure for clients. We routinely work with economists and vocational experts to determine the true loss suffered. Attorney Philip Berlinsky thoroughly enjoys the courtroom. He is an officer of the court and believes it is his duty to protect and serve. To schedule a free consultation with Philip Berlinsky, contact our office today.